We have a winner! David Chambers has been picked by our panel of judges as the first winner of our competition “50 Better Ways to Spend Summer”. David’s entry was picked for its simplicity and its focus on the natural environment. We’ve booked David into a favourite campsite at Milton Haven, just a minute’s walk from the edge of the sea. 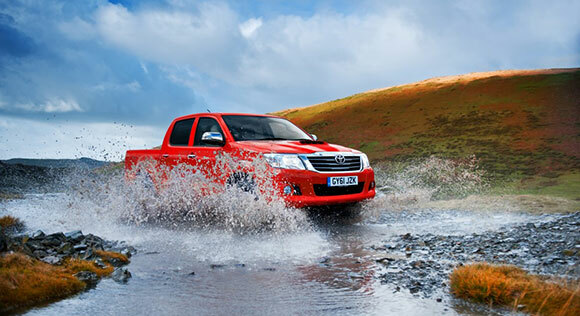 He’s taking a sea kayak with him, and we are lending him a new doublecab Hilux Invincible to make the journey. The weekend away is booked for June 29th, we will let you know how he gets on. But just because we have named our first winner, it doesn’t mean the competition is over. Days out, weekend breaks – if you have ideas for a better way to spend summer in the UK, we want to hear about it. Whether it be family fun, adventure with friends, getting back to nature or where to go for the best food and drink, as long as your break celebrates what’s on offer in the UK, there are no limits on imagination. If you need extra inspiration, check out the ideas below. We will provide the Toyota of your choice to get you to your destination, and cover costs associated with your experience*. So what are you waiting for? Our competition couldn’t be easier to enter. Get your thinking caps on and tell us what your best summer idea looks like.